She was married and a mother of a four-month old baby. The family lived in Obala in the Centre Region of Cameroon. Evidently, it was a very strange phenomenon only linked to witchcraft. Proponents of this thesis say the cheated husband has been suspecting foul. According to reports, he consulted a witch doctor who gave him the magic portion intended to confirm or refute his suspicion. Wednesday 21st October was the fateful day. The cheating couple( the woman and her secret lover) met in a hotel room in a small hotel in the rural town of Obala. Their stay was longer than usual and this attracted the attention of the hotel management. Upon investigation, the couple was found helplessly tied together, where the man's private part got stuck in the woman's private part and could not be separated. They were immediately rushed to the Obala hospital. 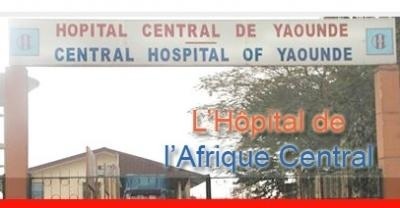 According to Cameroon tribune, the repulsive drama became public when the couple, wrapped in an empty bag of rice, was driven into the emergency ward of the Yaounde Gyneco- Obstetrics and Paediatric hospital. According to some sources, this hospital has not been able to deal with the situation. The couple was referred to the Yaounde Central Hospital. Since then, no updates have been given to the press; even the medical team feels embarrassed to discuss the situation. According to local authoritative sources, only the cheated husband holds the solution to the problem. Call it witchcraft? May be the ultimate reward for adultery!! !